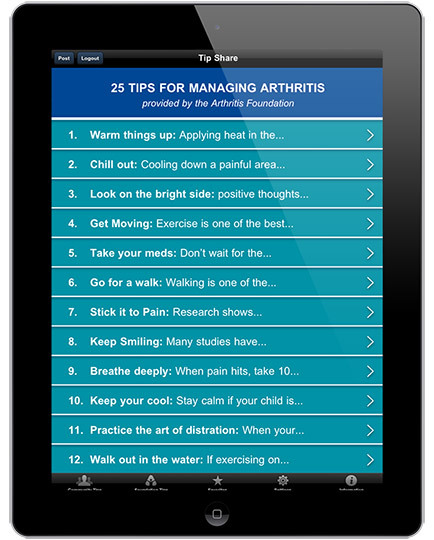 Read tips from the Arthritis foundation on how to live with all forms of arthritis and share your own tips or rad tips from other arthritis sufferers. 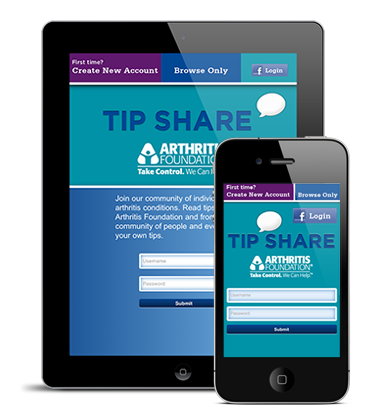 Tip Share is an app developed for the Arthritis Foundation using the Sencha Touch mobile application framework. 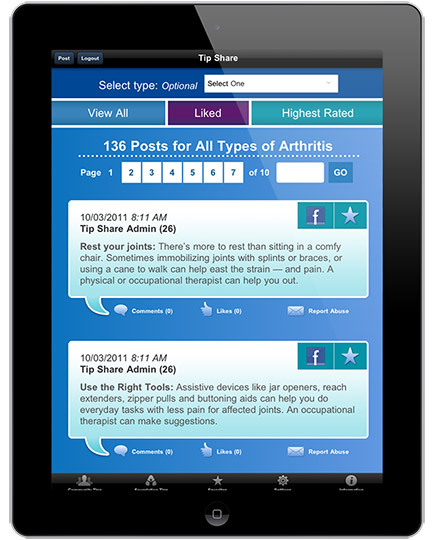 The app allows people who suffer from arthritis and their care givers a community within which they can discuss the disease and share tips on alleviating pain, maintaining mobility, etc. My role in this project was to write all the technical documentation which consisted of the technical requirements and server-side API needed to drive the layout, do all application development (both android and iOS) and oversee server-side development. Major development occurred in Eclipse under Windows. Minor development continued in OSX / Xcode for iOS. The native wrapper was PhoneGap. Other applications used were Weinre and Chrome for debugging. 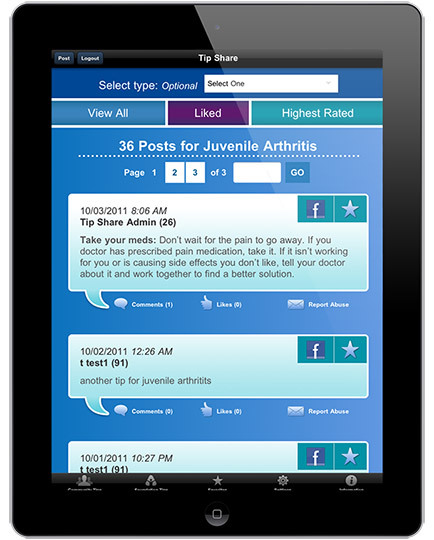 Additional software came in the form of the PhoneGap Child Browser plugin which was used to facilitate Facebook integration. On the client side user data was stored in Web SQL otherwise all content was served from a purpose-built system. That fed not only the app (AJAX/JSON) but also the companion website.